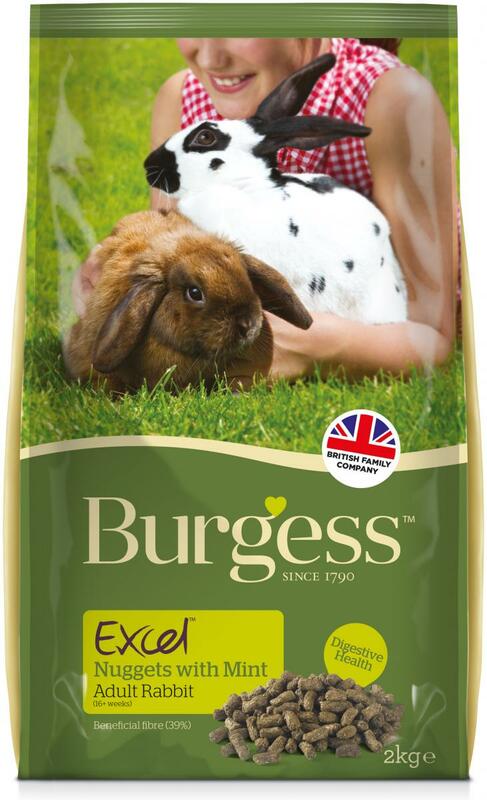 Burgess Excel Adult Rabbit is a delicious rabbit food made up of nutritionally balanced nuggets and is ideal for adult rabbits. Contains anti-oxidants to help support the immune system and aid the body's natural defences, a prebiotic to help promote a healthy tummy, and is high in fibre to keep the digestive system working effectively. Contains no artificial colours, flavours or preservatives. Grass, Oat Bran, Wheat, Soya Bean Hulls, Lucerne, Peas, Yeast, Molasses, Mint, Soya Oil, Calcium Carbonate, Monocalcium Phosphate, Ligno-Cellulose, Fructo-oligosaccharides 0.25%, Salt, Vitamins and Minerals, Contains Natural Antioxidants. 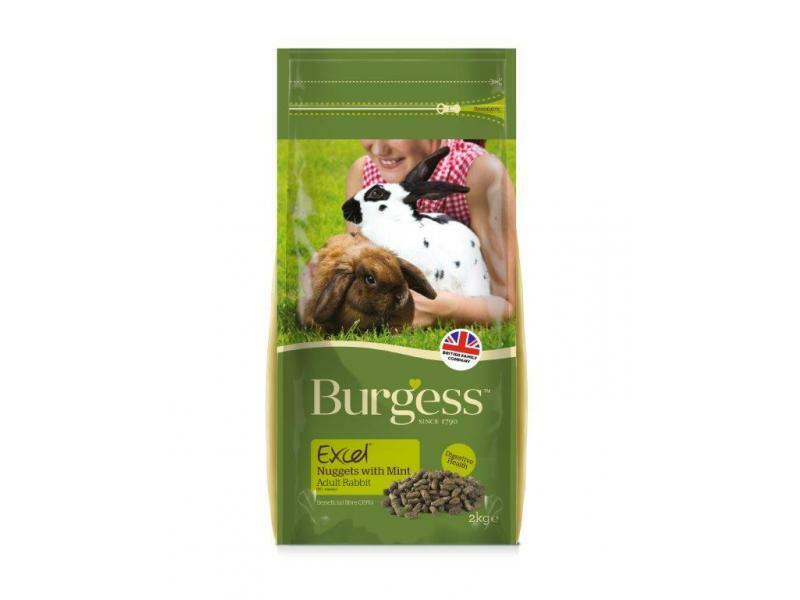 There are currently no questions for Burgess Excel Tasty Nuggets with Mint Adult Rabbit Food - be the first to ask one!